A few days back, I did a story on this not-a-wedding picture whose title riffed on the iconic special move from Street Fighter. 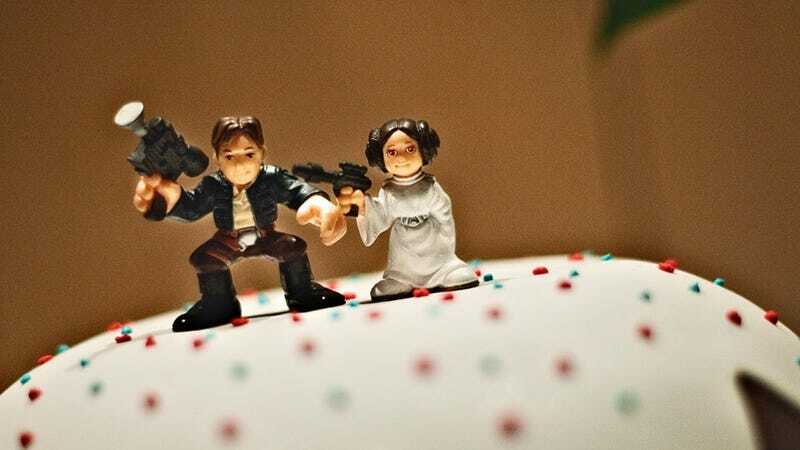 That got me thinking about geek wedding, geek proposals and geek romance. And, as if the internet were reading my mind, messages and pictures about all of the above have been floating in. The Best (Fake) Video Game Wedding Picture Ever? So, come on, show us your nerdy nuptials, Kotaku. Show us how you level up your love.